Unit Text: 1st Siege Bty. Additional information: Son of Mr. and Mrs. Lewis Bennett, of Cowbyres Cottage, Barry Links, Angus. 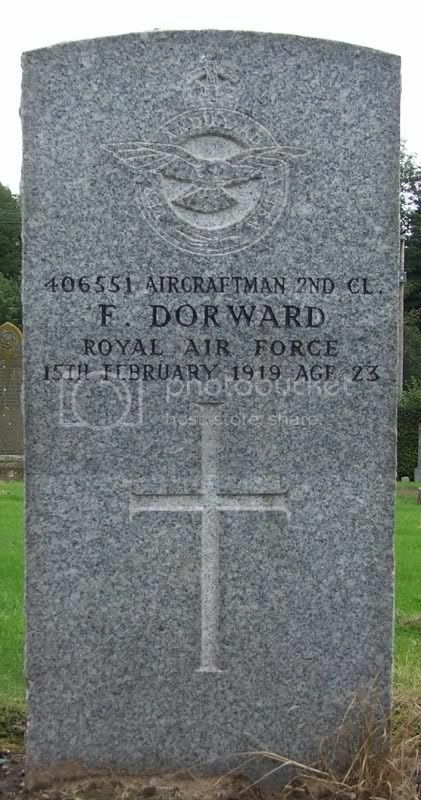 Additional information: Son of William and Martha Dorward, of 12, Taymouth Terrace, Carnoustie. 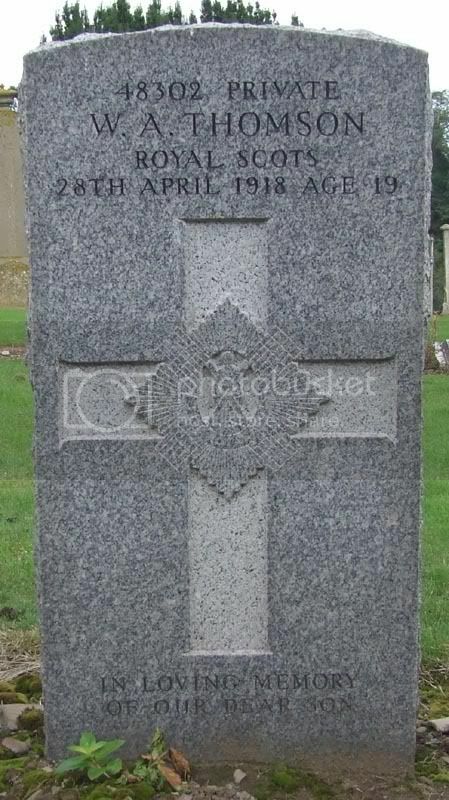 Additional information: Son of James and Margaret Brand Duthie, of Carnoustie, Angus; husband of Ina Duthie, of 10547, 102nd Street, Edmonton, Alberta, Canada. 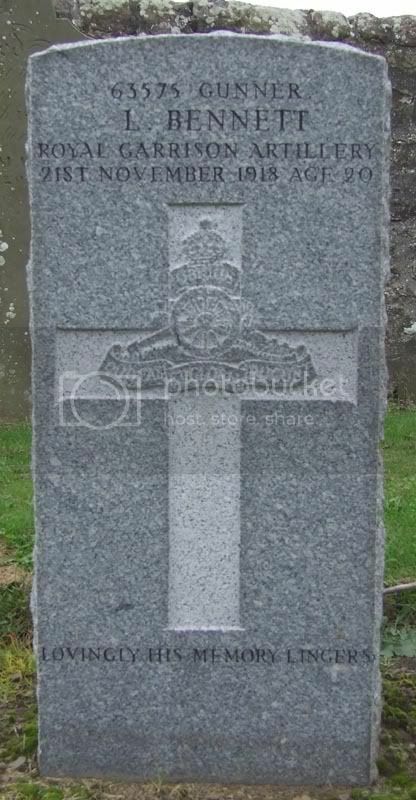 Grave/Memorial Reference: Near North-East corner of old ground. 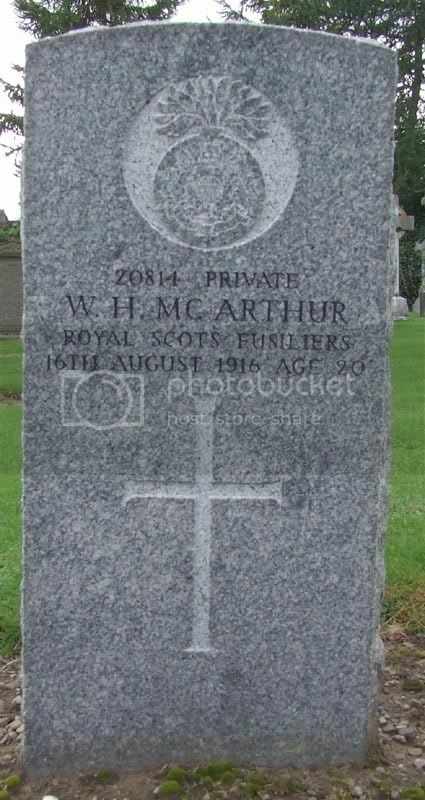 Additional information: Son of William H. and Mary McArthur, of Acton Cottage, Maule St., Carnoustie, Angus. 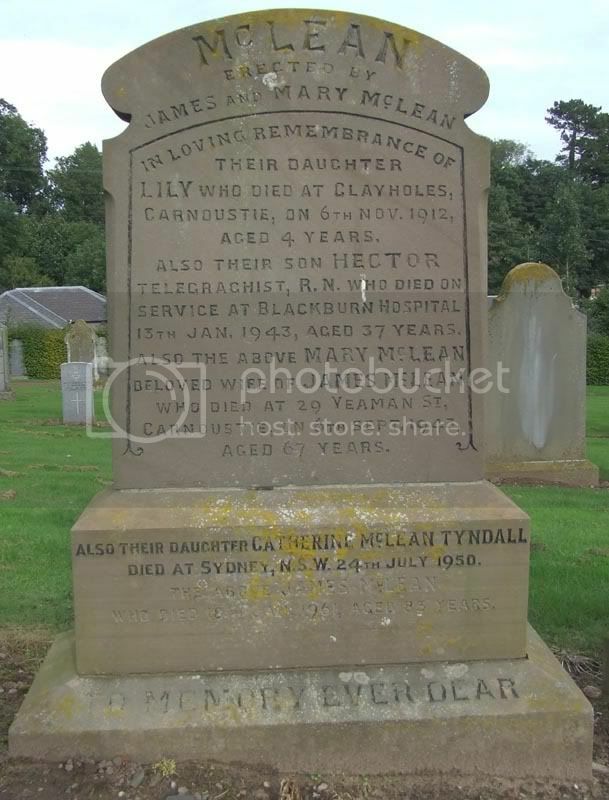 Additional information: Son of James and Mary McLean; husband of Eileen McLean, of Hillingdon, Glasgow. Grave/Memorial Reference: Sec. C. Grave 182. Unit Text: 204th Protection Coy. 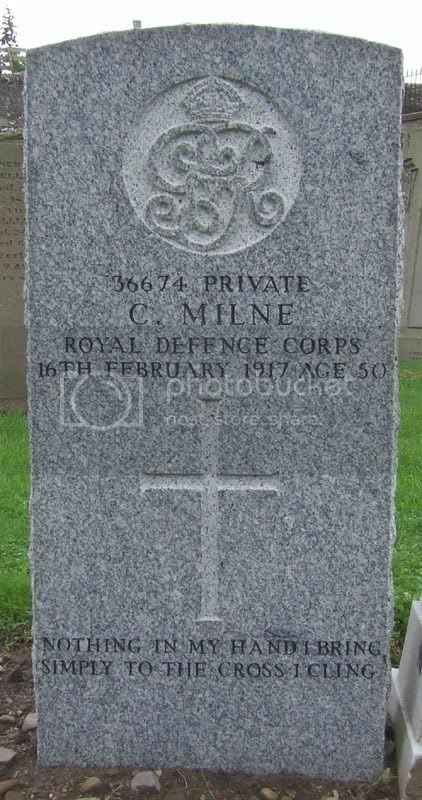 Additional information: Husband of Ann Carrie Milne, of 56, Panmure St., Carnoustie, Angus. Born at Arbroath. 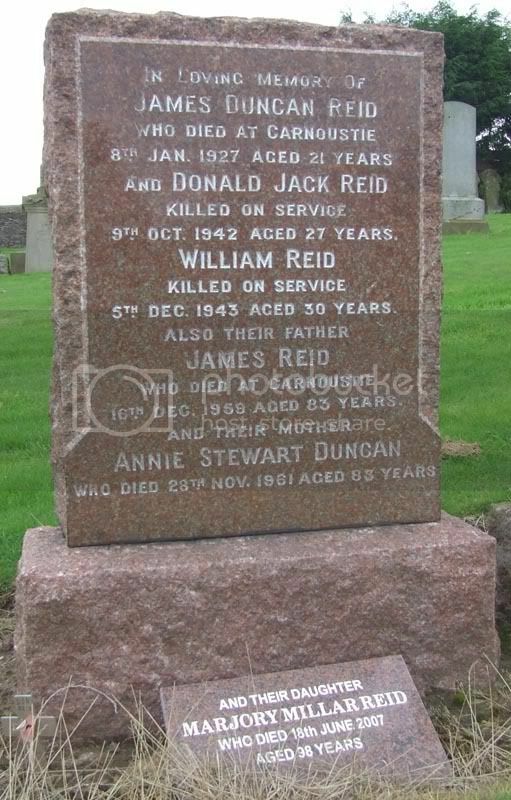 Additional information: Son of James and Annie Stewart Duncan Reid, of Carnoustie. Grave/Memorial Reference: Sec. B. Joint grave 394. Unit Text: 34th Protection Coy. 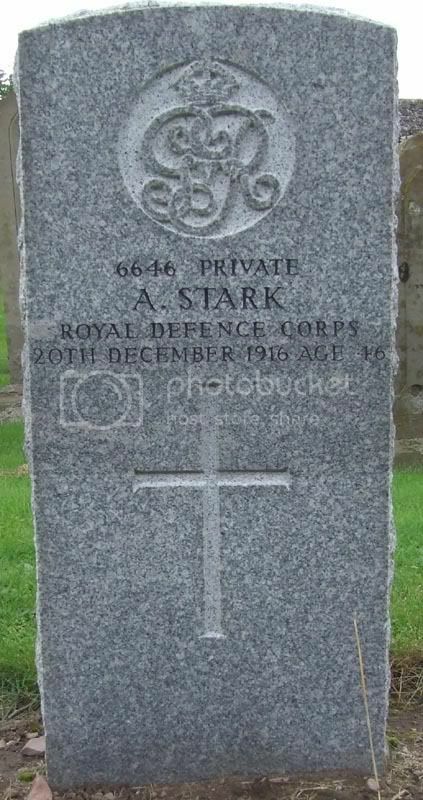 Additional information: Son of Mrs. Ann Stark; husband of Helen Young Stark, of Barry Rd., Carnoustie, Angus. 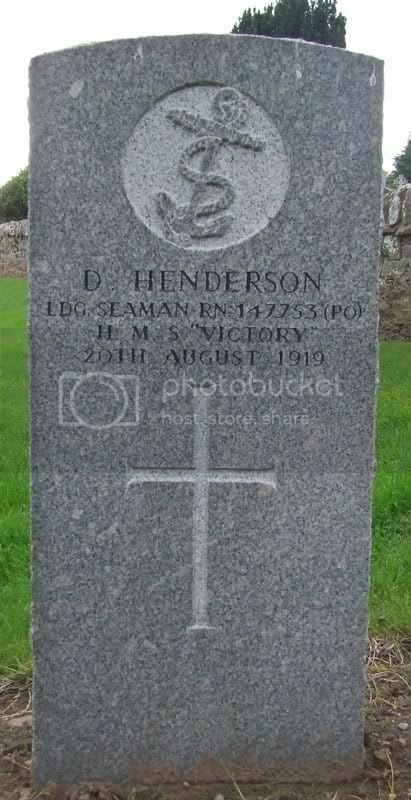 Additional information: Son of Alexander Thomson, of Dunedin Cottage, 62, Maule St., Carnoustie, Angus. Born at Carnoustie. A couple of Memorials from Barry if thats ok? 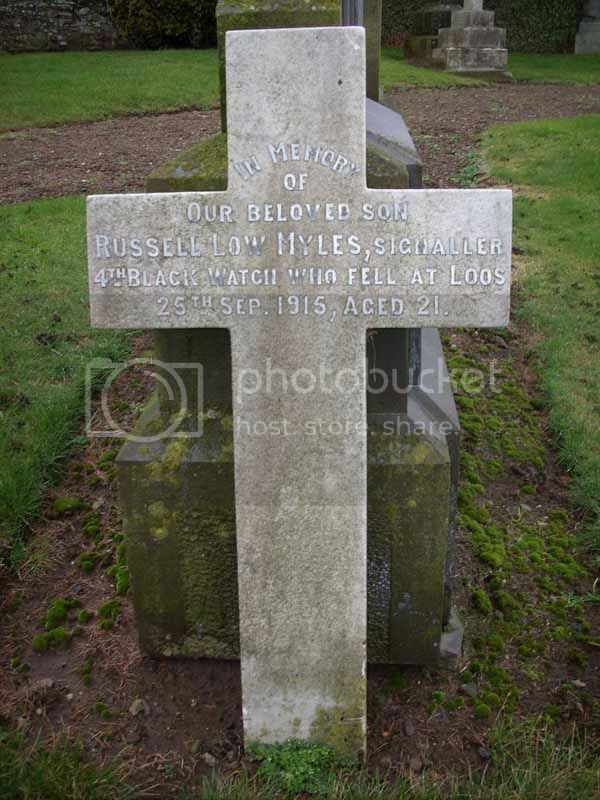 Additional information: Son of William Low Myles and Elizabeth Myles, of Linfield Cottage, West Ferry, Dundee. 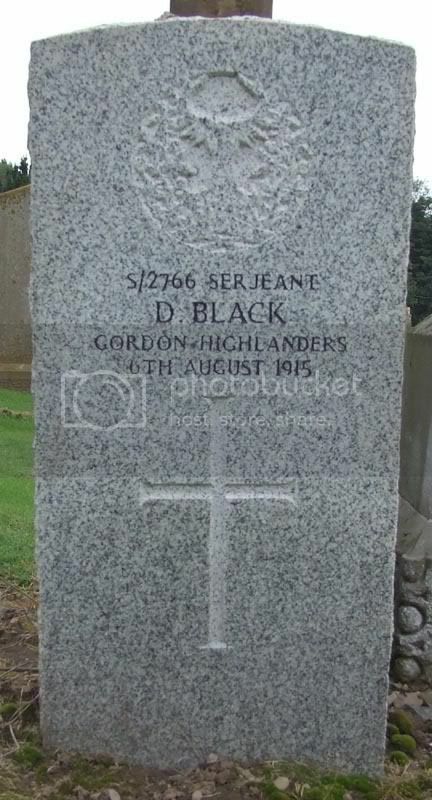 Native of Carnoustie, Forfarshire. Grave/Memorial Reference: II. A. 4.